One of the things the trade deadline did for the Oklahoma City Thunder was give them the option to play in a variety of manners. The time where Oklahoma City’s roster was littered with one-way players has gone by the way side. In its stead, the Thunder now have a roster full of players that, while not necessarily top notch on either end of the floor, are usually able to be net-positives in their time on the floor. In that same token, if a certain player is struggling, then another is waiting in the wing to pick up the slack. That overall depth is something that has been lacking since the days of James Harden, Eric Maynor, and Daequan Cook. And even though the Thunder played a team that could possibly end up with the first pick in the next draft in their last game, that depth is the reason why the Thunder were able to survive a line-up shuffle that saw them with Kevin Durant and Serge Ibaka. This is the 2nd, and final, meeting of the season between these two teams. The Chicago Bulls won a thriller a week and a half ago, 108-105, on an unlikely E’Twaun Moore 3-pointer in the final seconds of the game. The Thunder wasted a 43 points, 8 rebounds, and 7 assists masterpiece by Russell Westbrook, as the defense could not hold on to the 7 points lead they had going into the 4th quarter. The Chicago Bulls come into this game with a 40-27 record, good for 4th in the Eastern Conference. 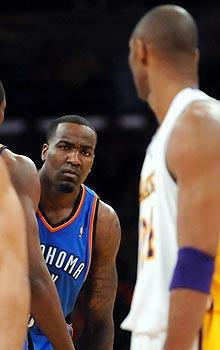 Since they last met the Thunder, they’ve gone on to lose 4 of their next 5 games. Their problem in that span has largely been defense, as they have given up an uncharacteristic 102.2 points per game in that stretch. With Derrick Rose, Taj Gibson, and Jimmy Butler still sidelined, the Bulls will have to depend on their defense to win games. The patch work back-court of Aaron Brooks and Tony Snell have kept the Bulls afloat with their occasional good games, and Mike Dunleavy Jr has provided the perimeter threat the Bulls lacked when he and Doug McDermott were out with injuries earlier in the season. Up front, Joakim Noah has been a bit hobbled, but will likely play in Sunday’s game. Pau Gasol continues to have one of his better season, posting 18.4 points and 12.1 boards per game. Off the bench, rookie of the year candidate Nikola Mirotic has been a revelation of late, averaging 15.2 points and 7.2 rebounds since the All-Star break. SF – Mike Dunleavy Jr.
1. Line-Up Changes – From now until the beginning of the game, there may be a lot of moving parts. Serge Ibaka (knee), Enes Kanter (knee), and Steven Adams (hip) all sat out practice on Saturday. Joakim Noah was extremely hobbled in their last game with a knee ailment and may be a game time decision. As I wrote in the opening paragraph of the preview, the Thunder are a lot better equipped to handle these types of situations now than they have been in the past. 2. Turnovers – More specifically, Russell Westbrook’s turnovers. Westbrook is averaging 9 turnovers per game in the last 3 games. For as great as he has been, he could be better. 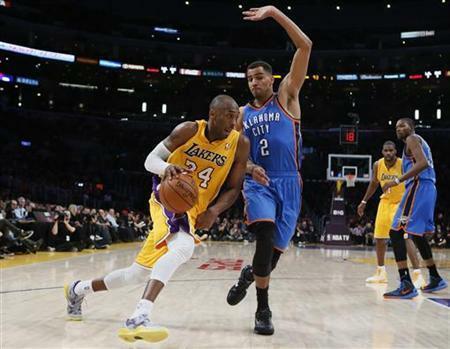 Westbrook’s turnovers are usually of the live-ball variety, which increase the opponent’s transition opportunities. If Westbrook could maybe cut that average down to 4, the Thunder will be able to hold on to leads and cut into deficits a lot better. 3. 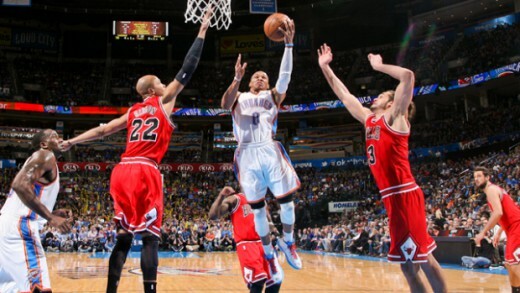 Nikola Mirotic – The Thunder had no answer for Mirotic in their first meeting. 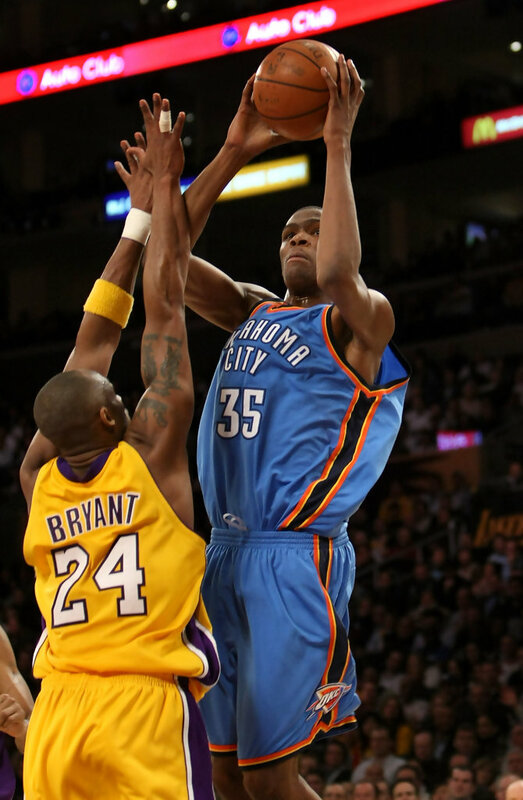 Even though he didn’t shoot it great from outside, he controlled the action offensively. 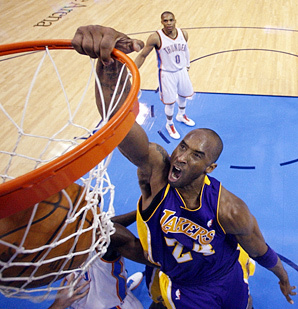 The Thunder bigs were afraid of his ability to make 3’s, so they flashed out everytime he got the ball on the perimeter. And when he pump-faked, they jumped. 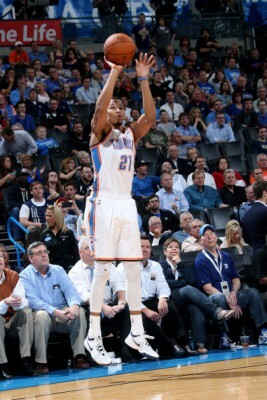 He is quickly becoming a prime-time player, and Thunder will have to find someone to keep him in check. 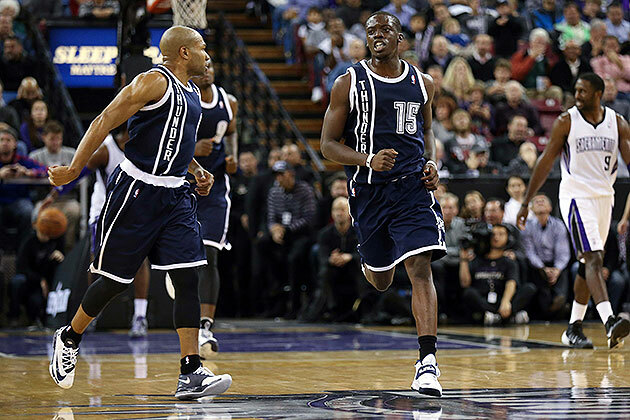 The Thunder had a whale of a fight last night from an unexpectedly game opponent. The Philadelphia 76ers don’t necessarily strike fear in the hearts of many teams in the league. 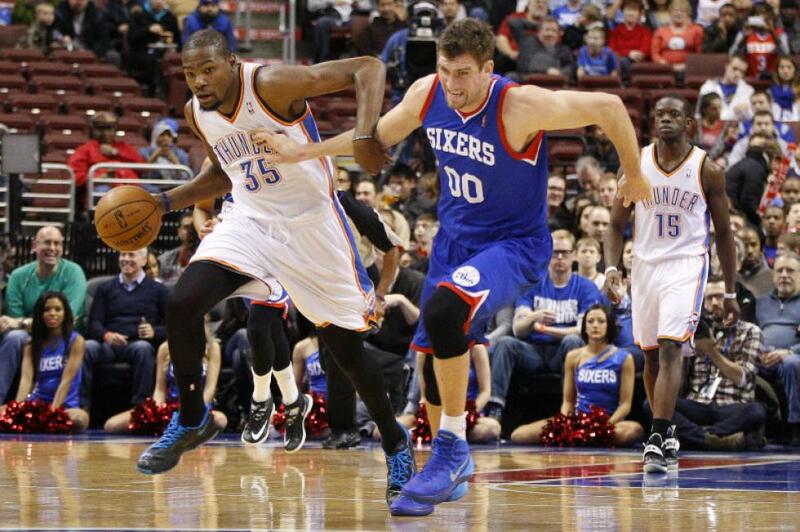 But last night, the Sixers chose the Thunder to be their “NBA Finals Game 7” opponent. They shot 43% from deep with 15 makes. They took 44 free throws. They grabbed 16 offensive boards and out-rebounded the leading rebounding team by 4. 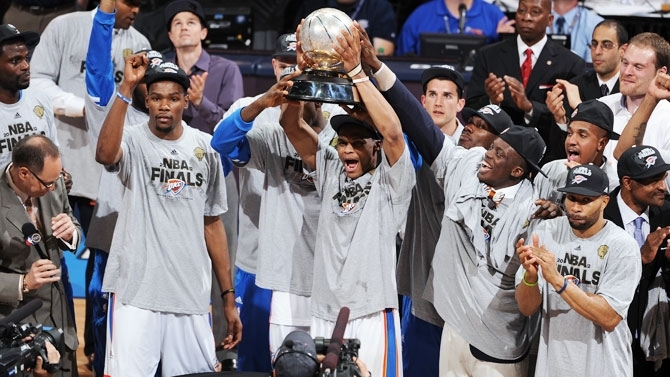 They did all this, and yet, the Thunder still found a way to pull it out. The Thunder lose this game earlier in the season. It helps when a team has a peak performance Russell Westbrook on their roster. But it also helps when the depth of the team allows the back up point guard and shooting guard to be the 2nd and 3rd leading scorers on the team on a night when no starter, sans Westbrook, had double figures. 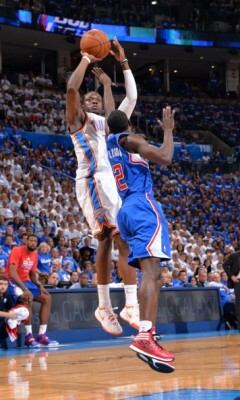 The win last night will go a long way to solidifying the mindset of the Thunder moving forward. Everyone can contribute; everyone is needed. This is the first meeting of the season between these two clubs. 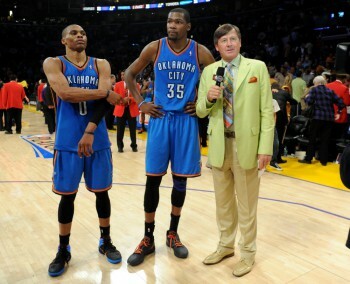 The Thunder swept the season series last year, winning both games by a margin of 12 points. The Chicago Bulls come into the game with a 38-23 record, good for 2nd in the Eastern Conference. The Bulls are singing the same song they’ve sung that last 2 seasons: injuries to key players, good defensive unit, great effort, likely to fall short in the playoffs. The Bulls have improved offensively this season, scoring 101.2 points per game, good for 11th in the league. 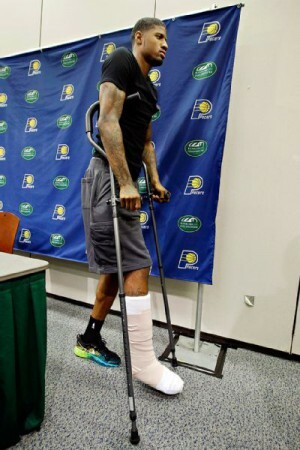 But the story of the season is still the injuries. Derrick Rose is out 4-6 weeks with a torn meniscus. Jimmy Butler is out 3-6 weeks with a sprained elbow. Taj Gibson is out 1-2 weeks with a sprained ankle. The team is currently starting a backcourt of Aaron Brooks and Tony Snell. That should tell you a lot about the current state of the Bulls. On the other wing, veteran Mike Dunleavy has returned from his own injury and continues to provide steady play from the 3 spot. 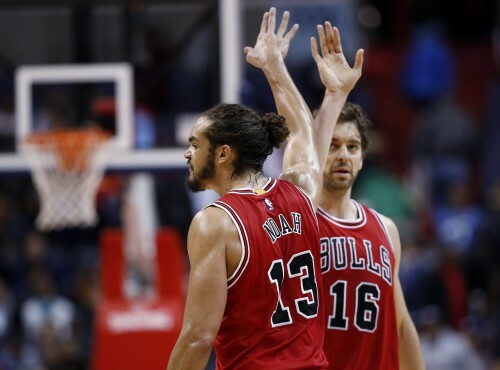 Up front, Pau Gasol and Joakim Noah form one of the better front court duos in the league. The injuries have sapped a lot of the Bulls’ depth, leaving rookie Nikola Mirotic and Kirk Heinrich as the only dependable players off the bench. 1. 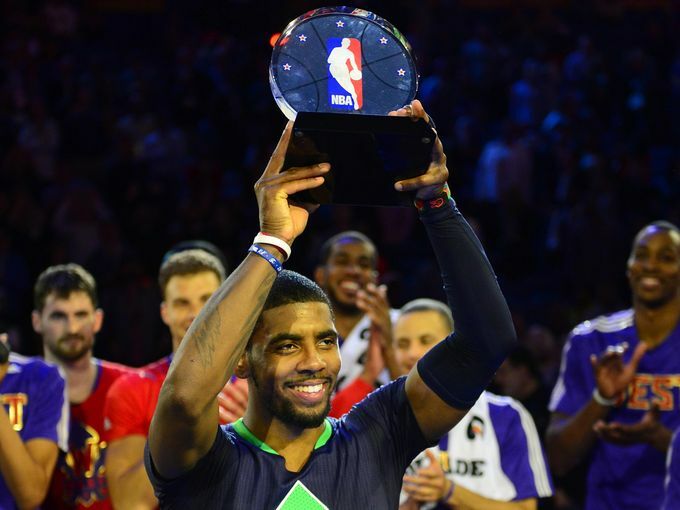 Guard Play – This game will be won in the backcourt. 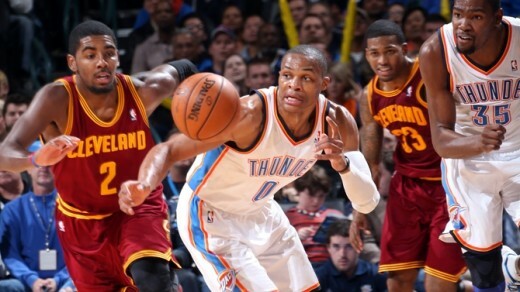 The Thunder have a decided advantage with Westbrook, Roberson, Dion Waiters, and DJ Augustin. Brooks and Heinrich are veterans, but have their short-comings and Snell is prone to mistakes. 2. 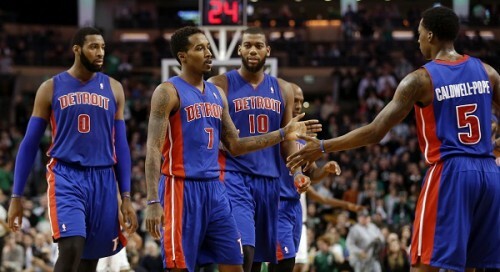 Rebounding – This is a match-up of the top two rebounding teams in the league. 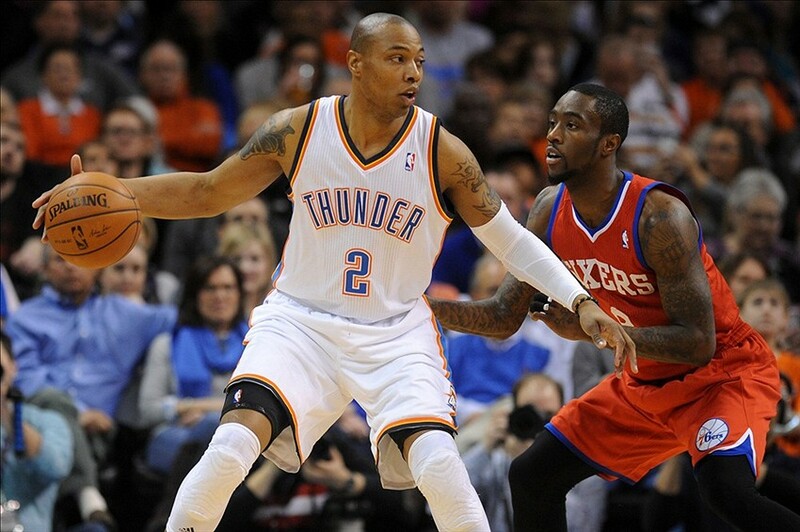 The 76ers staying the game with the Thunder with their offensive rebounding and 3-point shooting. Give a wounded or bad team more offensive opportunities and they will eventually make you pay. 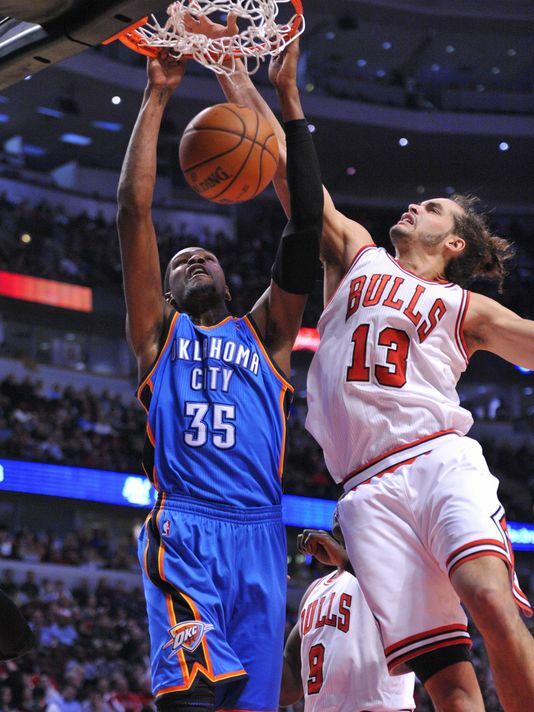 The Thunder’s big men will have their hands full with Gasol and Noah. 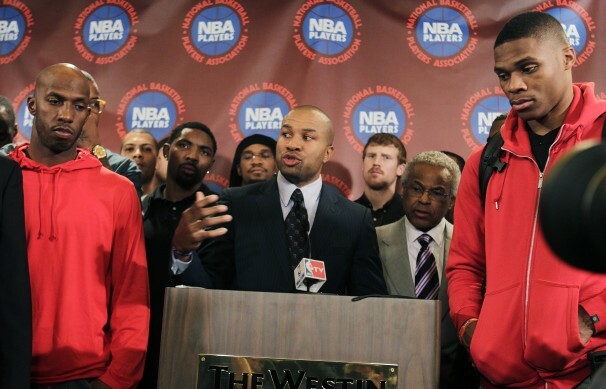 Then, when Mirotic comes in, one of the big men will have to float out to the perimeter to keep a hand in Mirotic’s face. 3. Welcome back, Craig Sager – After battling cancer, Craig Sager returns back to work tonight. Can’t wait to see what suit the man will be wearing. According to the Elias Sports Bureau, the Oklahoma City Thunder are now 0-1 when they are missing 3 starters this season. That’s some heavy fact finding right there. The loss last night doesn’t really bother me as much as the effort does. Many teams in the NBA will have a tough night when their starting PG, SG, and C are out. But most teams don’t have the supposed depth the Thunder have. That depth, though, is laced with a bunch of young players. That can be a gift and a curse. Teams like Miami, San Antonio, and the Clippers have veteran-laden benches with players that have started and starred before. But the Thunder bench consists of Derek Fisher, Caron Butler, Nick Collison, and a bunch of rookies and 2nd year players. 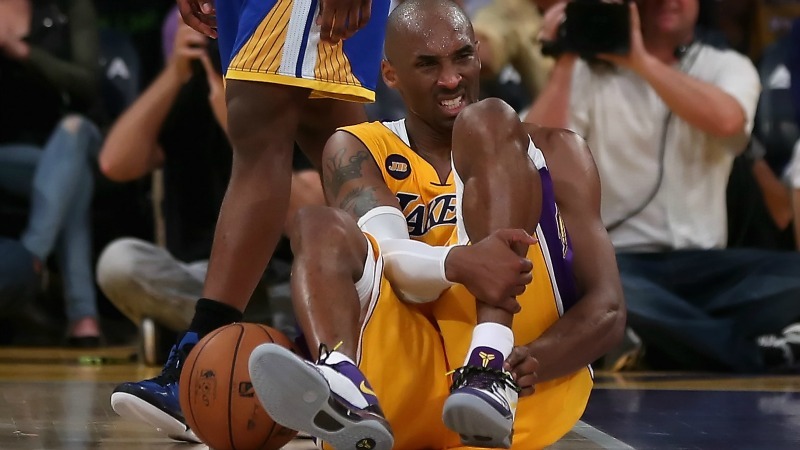 When injuries push that pecking order up a bit, you can have nights of inconsistencies. This will be the 2nd and final meeting of the regular season between these two teams. 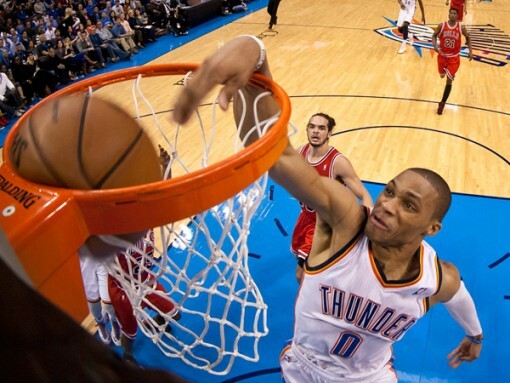 The Thunder won the first game in Oklahoma City 107-95. In that game, Kevin Durant had a near triple double with 32 points, 9 rebounds, and 6 assists, while Russell Westbrook had a double double with 20 points and 10 assists. 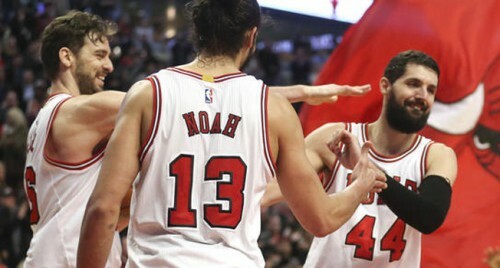 For the Bulls, Joakim Noah led the way with 23 points and 12 boards. The Bulls this season have been a microcosm of the Bulls for the past 2 seasons. No Derrick Rose, lots of defense, great coaching, and a resilient bunch. That’s the Bulls in a nutshell. After losing Derrick Rose AGAIN! in late November for the rest of the season, the Bulls went on a bit of a rough patch, losing 11 of their next 14. But Coach Thibodeau righted the ship, and the Bulls find themselves with a 37-29 record, good for 4th in the Eastern Conference. 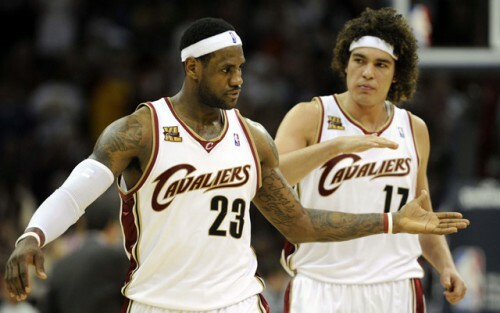 After trading Luol Deng to the Cleveland Caveliers, the Bulls found themselves without a consistent scorer. Enter Joakim Noah. Noah has been a revelation this season as an offensive weapon; not necessarily a scorer, but more as a point center, registering 3 triple doubles. Kirk Heinrich, DJ Augustin, and Mike Dunleavy Jr. have done a good job on the perimeter, while Noah, Carols Boozer, and Taj Gibson have done their thing in the post. Their bench is a bit thin, but can produce points with Gibson and Augustin. 1. Turnovers – The Bulls aren’t going to score many points (93.4 points per game – 30th in the league), but they may not need to. 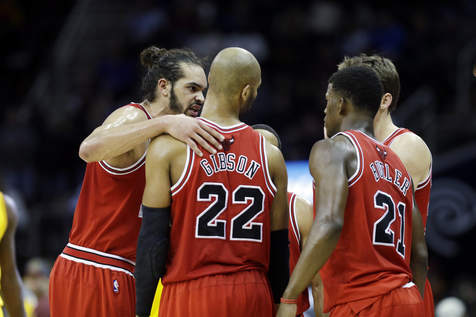 Backed by the best defense in the league, in terms of opponents’ ppg, the Bulls ususally win close games because of their defense. One of their tenants is to defend the paint and force turnovers. The Thunder have a tendency to get a bit careless with the ball, while will create more opportunities for the Bulls on the offensive end. 2. The Bench – The showing in the Dallas game was atrocious, to put it nicely. But the bench has done a good job of bouncing back this season after bad performances. Here’s to a bounce back game. 3. 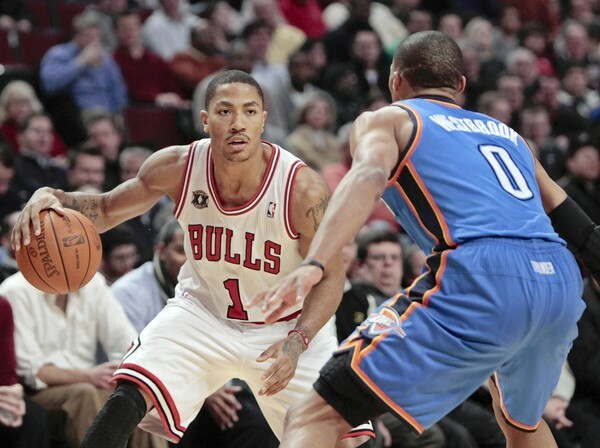 The Duo – The Bulls don’t really have anyone that can stick with Westbrook and Durant on the offensive end. 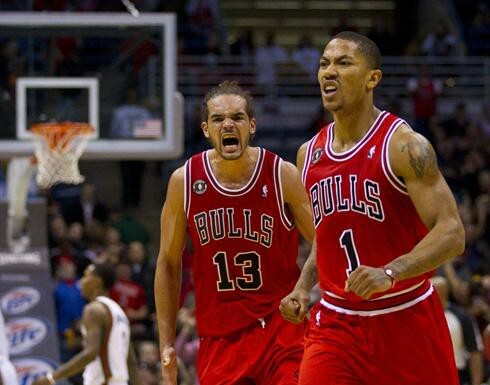 If these two do their thing, while getting others involved, it could be a difficult night for the Bulls. 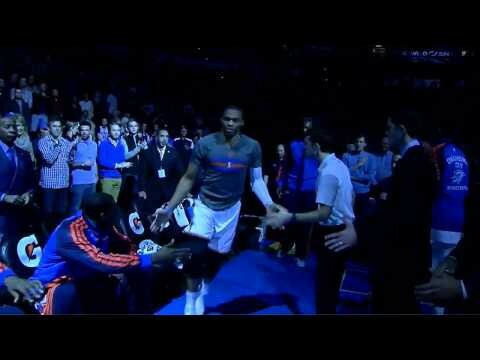 The tale of Russell Westbrook is often intertwined with the tale of Derrick Rose. 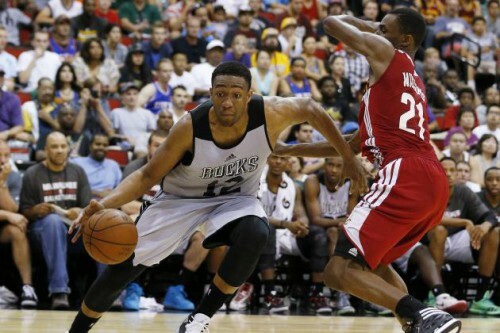 Both are hyperactive point guards who break down defenses by getting into the paint and causing chaos. It is in that chaos where they find most of their success. But those intertwined tales have now become cautionary tales within the past year. Both guards suffered and recovered from serious knee injuries. Both started the season. Only one is still playing. The loss of Derrick Rose to a meniscus tear decimates any chance the Bulls had of coming out of the Eastern Conference. With that, another season (3 in a row) goes down the drain for a team that many had tabbed as a darkhorse contender. Now begins the internal struggle within the organization in choosing between rebuilding or regrouping. This cautionary tale should remind Thunder fans of why the organization had to trade James Harden. With max contracts for Rose and Carlos Boozer, and near max contracts for Luol Deng and Joakim Noah, the devastating blow that was the ACL injury to Rose set the organization back at least a season. The meniscus tear to Rose is probably the coup de grace for this core group of Bulls players. Losing a main player is never easy for a franchise, but it is especially difficult when the team is financially handcuffed from making any moves that can help in the short term. With a similar salary cap structure to the Bulls, the Thunder decided that they couldn’t support 4 max or near max contracts plus the contract of Kendrick Perkins. The Harden trade provided the Thunder with not only salary cap relief, but also with assets to build a support system around the nucleus of Kevin Durant, Russell Westbrook, and Serge Ibaka. 1. Bench Play – One of the things that suffers when you have financial restraints on a team is the bench. With their inability to re-sign Nate Robinson and Marco Bellineli, the bench play for the Bulls is average at best. The Thunder may be able to pull away during those 2nd quarter / late 3rd quarter stretches when the bench is primarily playing. 2. Russ – With injuries to Rose and Kirk Heinrich, the Bulls have DJ Augustin and Marquis Teaque to man their point guard position. Feast, Russell. 3. Rebounding – The Bulls’ only saving grace may be rebounding. The front court combo of Boozer, Noah, and Taj Gibson can gobble up rebounds on any given night. Prevent this and you prevent any second chance opportunities for the Bulls.